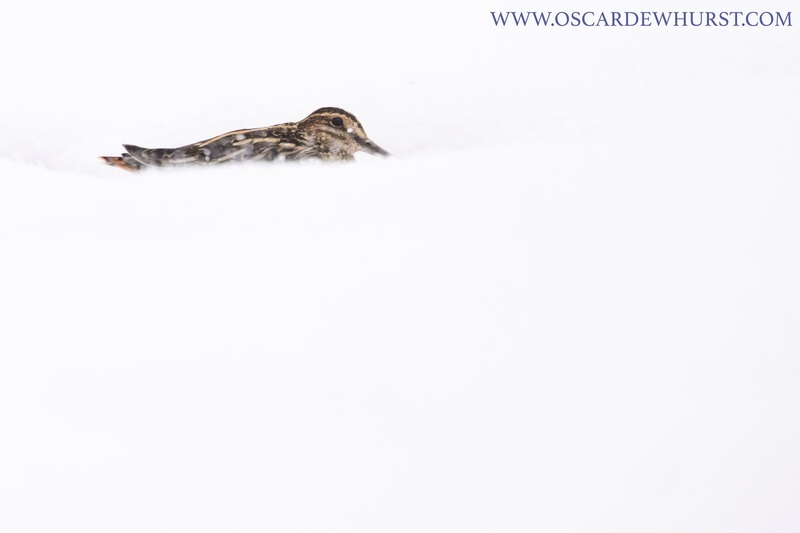 After a day photographing wildlife in the snow (images can be seen in my post a couple of weeks ago) I was back out over the weekend in the hunt for more photos. This time I headed out to the coast, but was unsuccessful in finding many subjects. 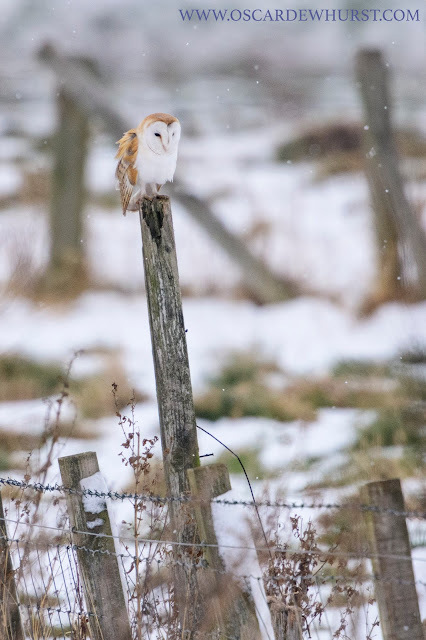 In the car on the way home, however, I was surprised to see a Barn Owl drift across the road in front of me, and land on a fence post near the road. 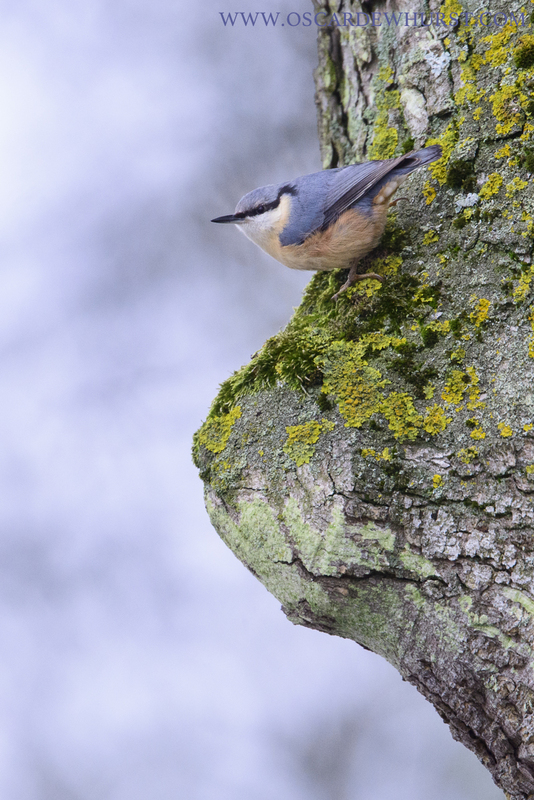 Luckily it let me make a close enough approach for some photos, before taking off to hunt over the grassland. 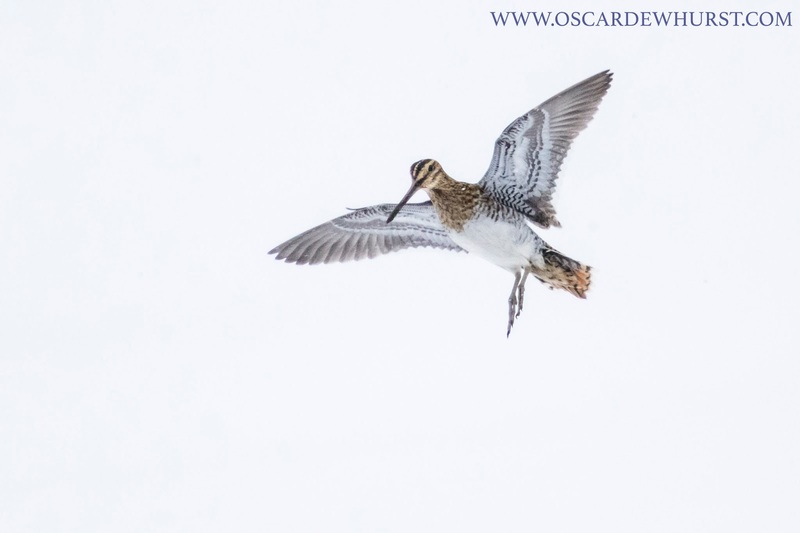 Snow on the ground is great for photographing birds as it reflects light back up onto the underside of birds removing the shadows you often get. During the afternoon I was out again, driving around the rural land near me. I was looking to see if I could find anything out in the open that would let me get images of it against a pure white background. 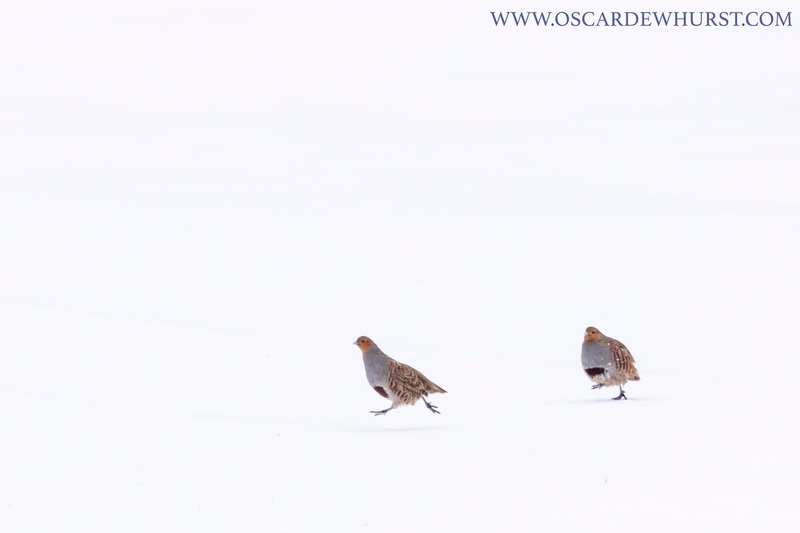 After half an hour I spotted some Grey Partridges in a roadside field, so pulled over and started photographing them. 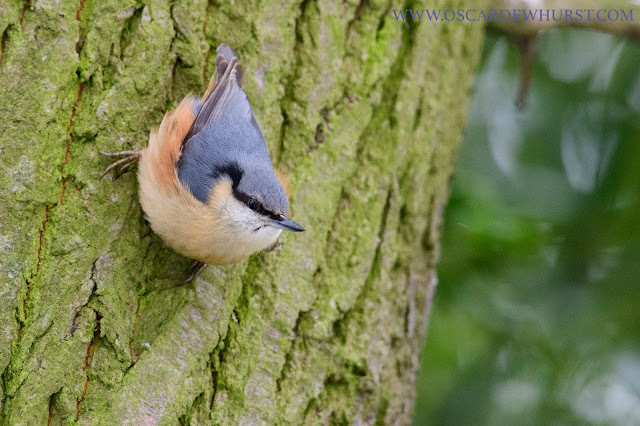 There were 3 birds, giving me opportunities to photograph just individual birds on their own, or include groups. 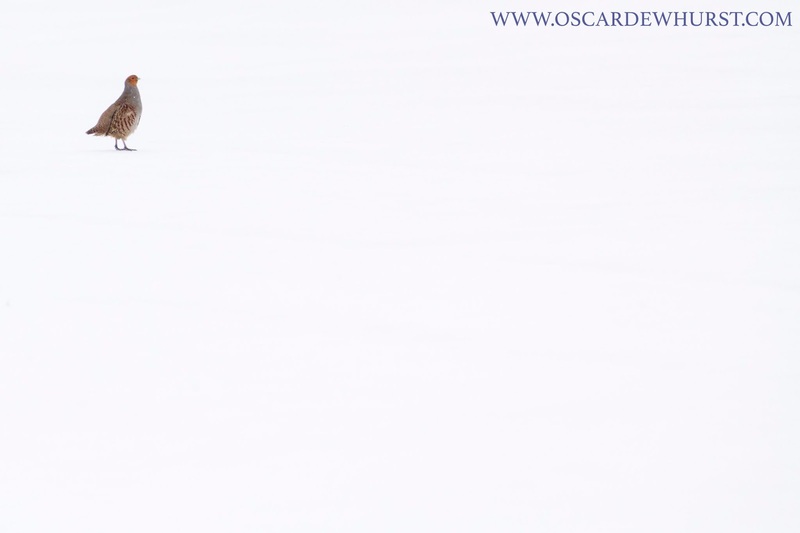 As well as this, two of them kept chasing each other through the snow too. Apologies for the time that has elapsed since my inaugural BTI image; I had intended to do one each week, but have realised that with the amount I have on, that is unlikely to occur! Therefore, I'll just try and do them when I can, making every effort to keep them regular. 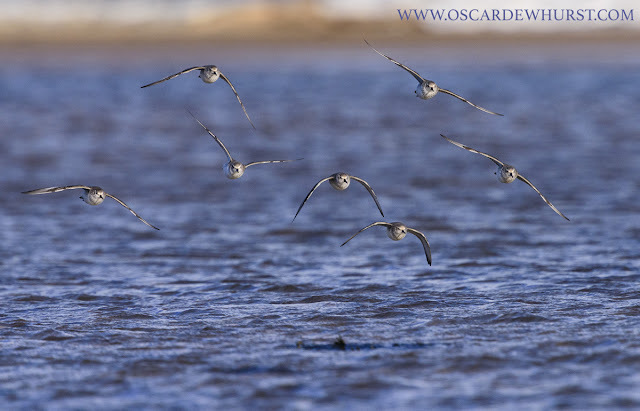 The image that is the focus of the second BTI is of some Sanderlings, taken on South Shields beach in Durham. 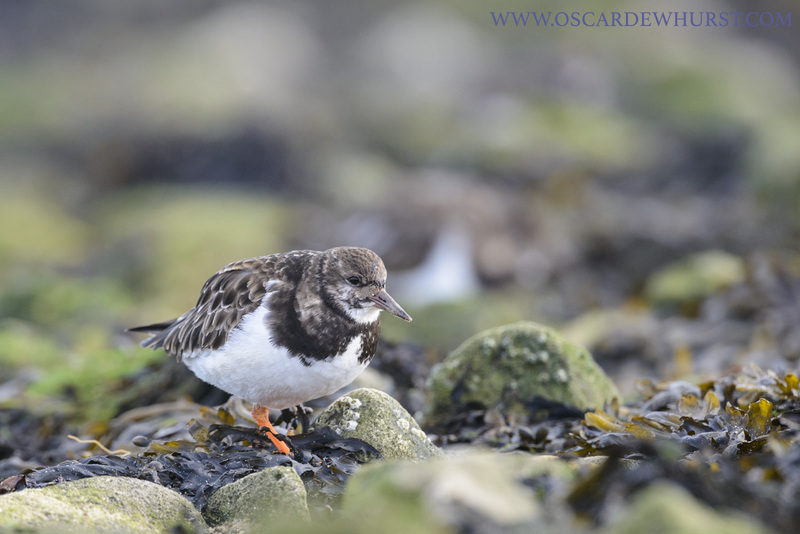 Now that I have a car up with me for my last year of uni at Durham, I've been trying to photograph things I wouldn't get the chance to back at home, and one very obvious group of subjects were coastal birds! Living in London means I rarely get out to the coasts, so I was keen to make the most of living relatively near the wonderful northeast coastline. 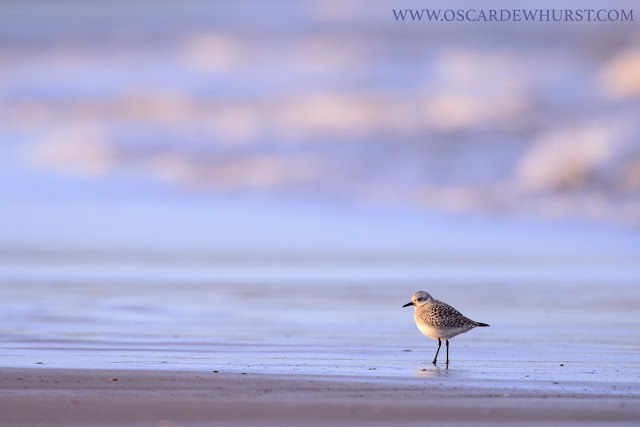 Sanderlings can be found on most beaches along the coast up here, but photography is better in some places than others. 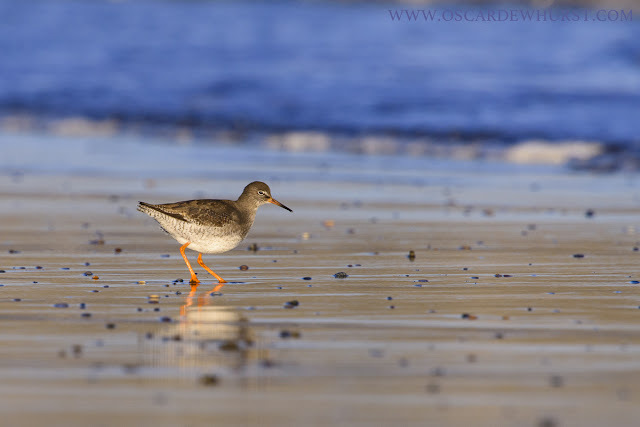 At South Shields, there is usually a fairly healthy group of the birds feeding along the shore, and due to the constant presence of people on the beach, they are often very confiding. 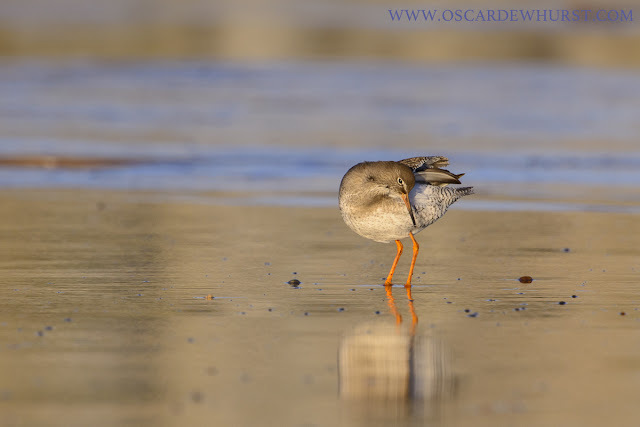 Before the day on which this image was taken, I had photographed them a couple of times before, but had left with fairly bog-standard images of birds on the sand from a low angle. Although aesthetic, they were nothing different, and in no way stood out from anything done before. The day this was taken the sun kept going in and out of the clouds. 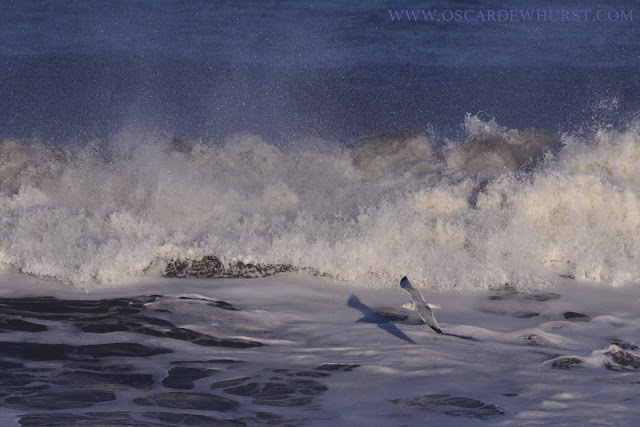 While the sun was out I was trying to photograph the birds with fast shutter speeds as they zipped along the beach. When the sun went in, however, the flatness of the light lent itself to using much slower shutter speeds and trying to blur the movement, while keeping the head sharp. Unfortunately this is easier said than done! 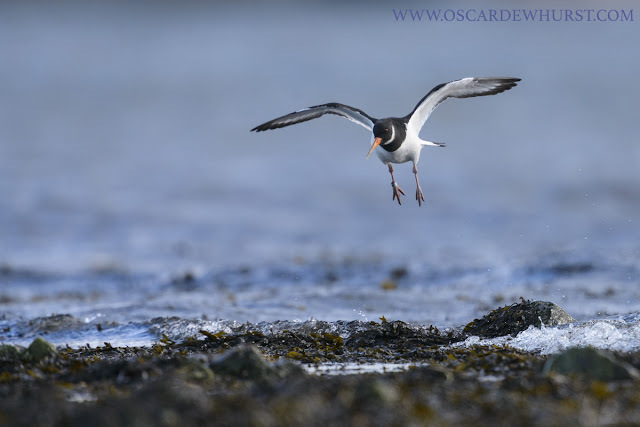 Although the majority of the birds' movement is to the side, the head also moves up and down slightly as the run, making it extremely difficult, if not impossible, to get images with blurred legs and background and a pin sharp head. As well as motion blur images of them running, I also tried it on flying birds. Although the birds were tolerant of people, the presence of dogs would flush them, so I regularly had the change to photograph tightly-knit flocks hurtling past me low over the waves. At the end of the day it was one of those images that was my favourite, taken at 1/15s. Thanks for reading, and I'll be back in a few days with the next instalment! 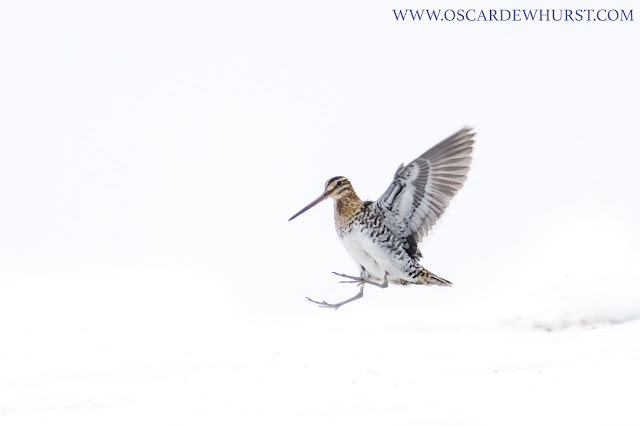 The last time I had the chance to photograph wildlife in proper snow (by which I mean more than a pathetic covering that normally occurs about once a year) was the winter of 2012/13. Fortunately, this coincided with my fox project, so I was able to get images of foxes against a completely white background. Since then I've been longing for the chance again, and this year it finally came at the start of March. Full of optimism, I headed out early in the morning. With many of the roads impassable I was on foot, but still hoped to find some subjects over the day. Unfortunately what I'd hoped for didn't really occur. 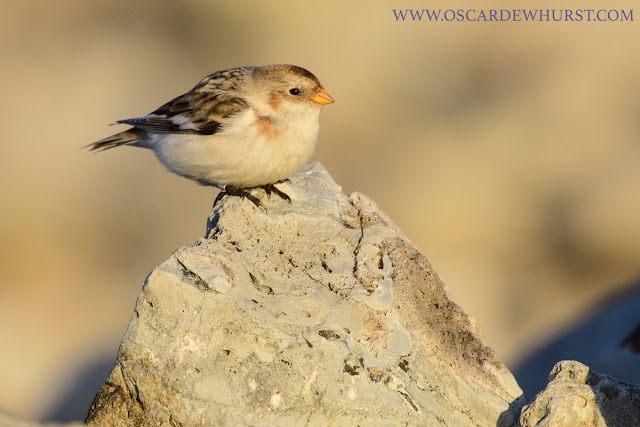 I walked several miles in the search for wildlife, but found little. This could have been because the conditions were so bad that everything was sheltering from the weather, but whatever the reason, the outcome was the same! 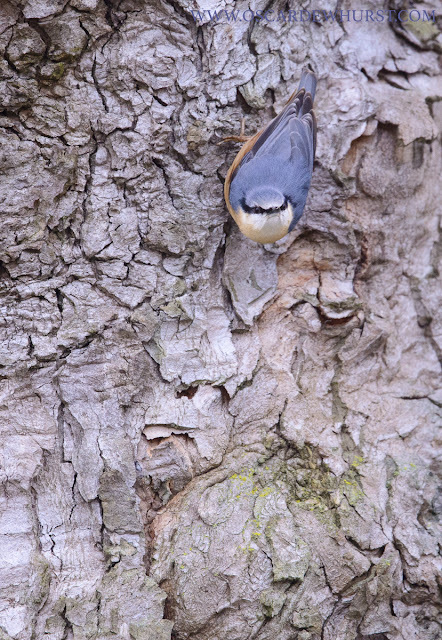 Eventually, in a sheltered patch of woodland, I came across a Nuthatch moving its way up and down the trunks, which let me get some images. It wasn't really what I was looking for, though. Given how rare large snowfall is (certainly with me usually in London anyway), I was really trying to get some images with snow in them! Despite my efforts I kept coming up short, so reluctantly started heading for home. About half way back I passed yet another field blanketed with snow, but I noticed a bit in the middle that was uncovered. 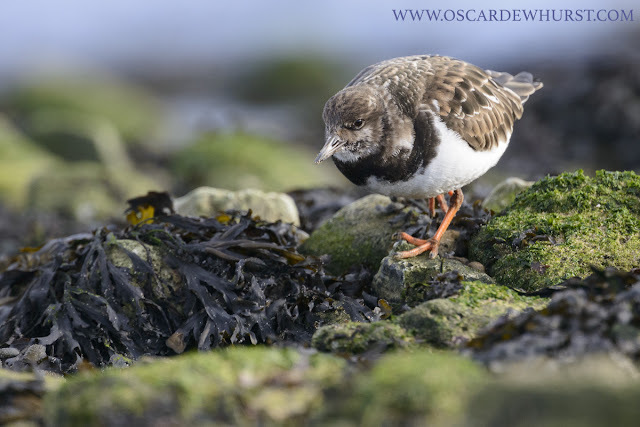 During times like this, birds such as Snipe and Woodcock find it very difficult to feed, as they need mud to probe their long bills into. Throughout the day I had flushed a couple of these birds up from small areas of running water, so thought I'd just have a quick check of this bit to see if it held anything. 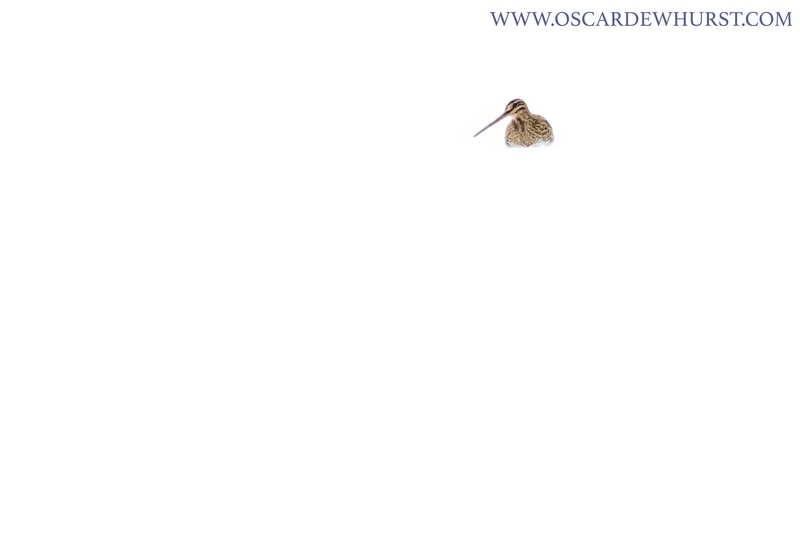 Lifting my bins, I was greeted by the sight of 5 Snipe scuttling around in the mud, feeding voraciously. 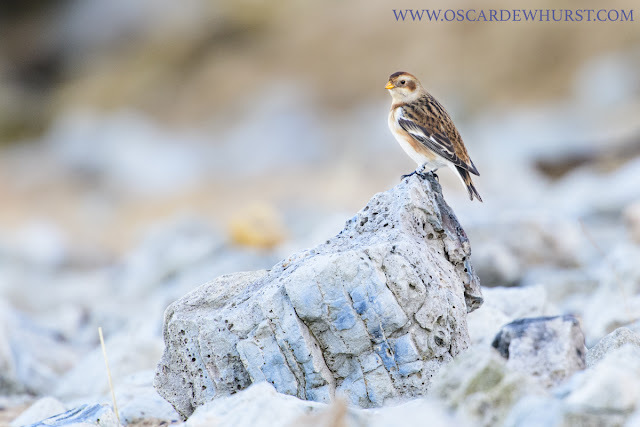 I was delighted to have found something to photograph at last! 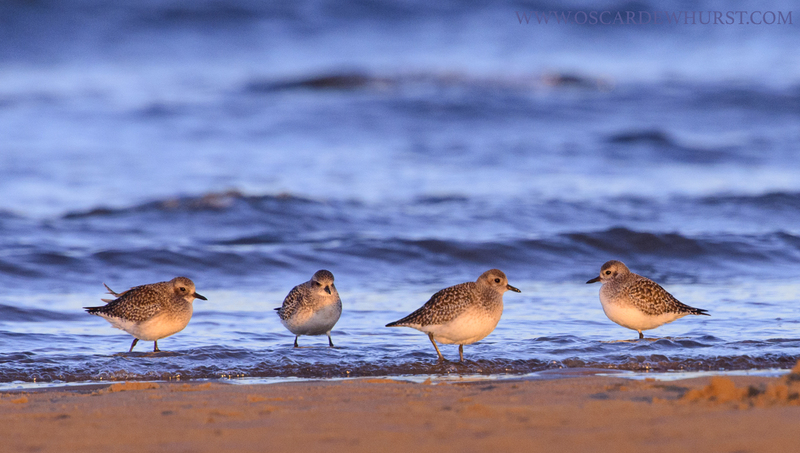 Over the next hour, before it got dark, I spent time shooting them. 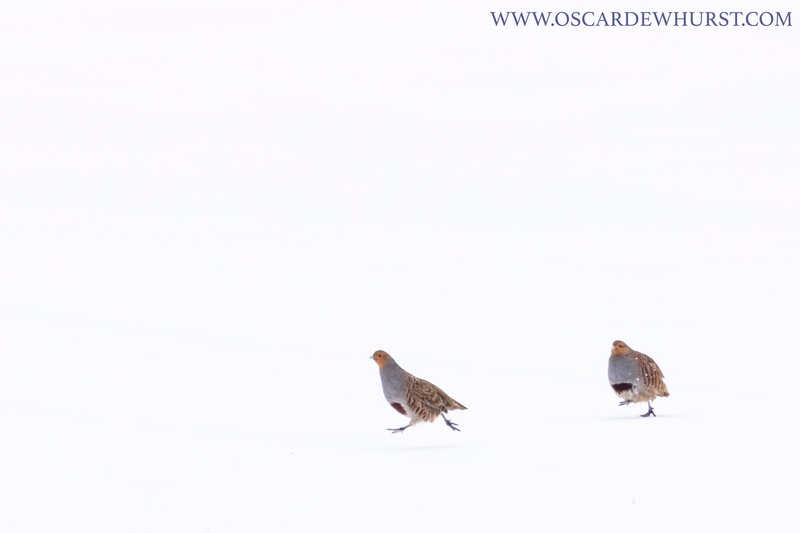 Each time a dog walker passed by, the birds would all take off, do a couple of circuits of the field, before returning to the same spot. Despite seeing nothing for the vast majority of the day, these photos at the end made all the trudging through knee-deep snow worth it! Fortunately, I was also able to get out the following day, but the images from that will have to wait for the next post. The weekend after the images from a couple of posts ago I was back out at my usual spot on the coast, but this time I was armed with a new toy. Earlier in the week my D850 had arrived. I'd hoped to use it the previous weekend, but the one I ordered turned out to be faulty, with several dead pixels on the sensor. As a result I sent it back, but a replacement arrived a week later so I was itching to get out and see what the fuss was all about. 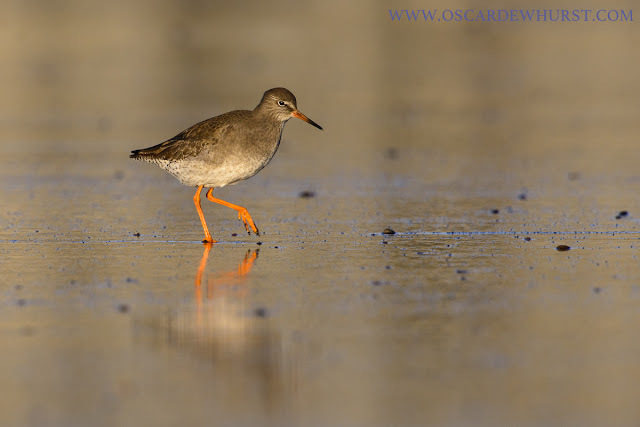 The first subject I could use it on was a Redshank feeding in the shallows. The AF seemed pretty snappy, certainly quicker than my old D800, and the increase in fps should make capturing action images easier too. 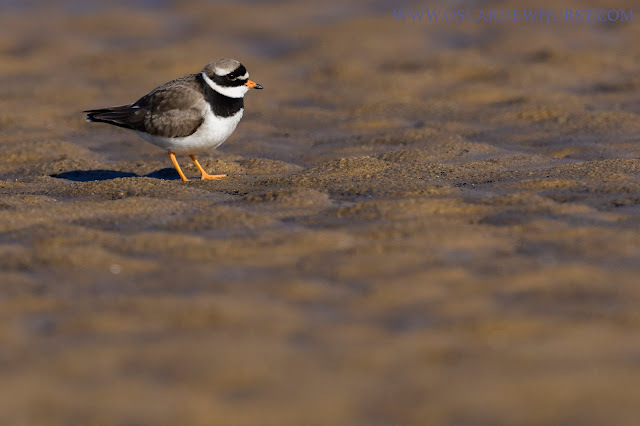 After the Redshank I came across a Ringed Plover on the sand. It wasn't particularly concerned by me, so I was able to get a few photos as it stood on the sand, the colours looking lovely with the sun over my shoulder. 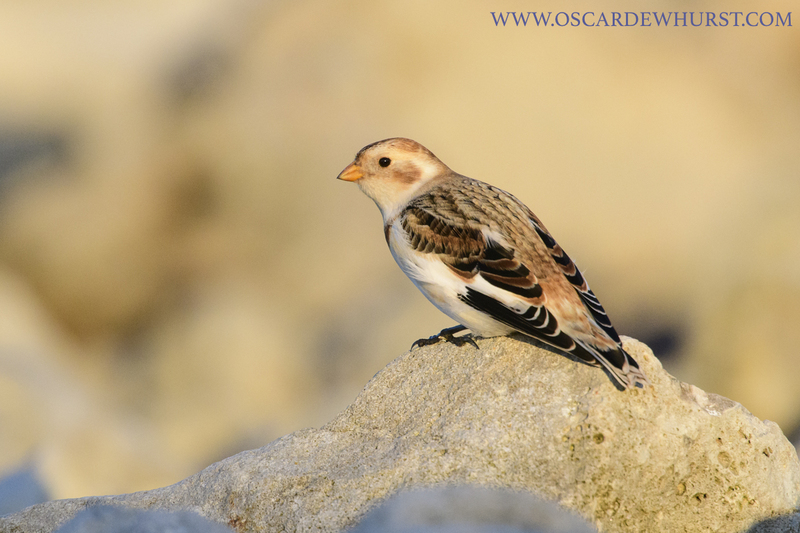 I knew there had been a flock of Snow Buntings knocking around over the past few weeks but I'd never managed to come across them except when they flew over my head and into the distance one day. This time I had more luck, however, and soon found them feeding inconspicuously on the shingle and perching on rocks. 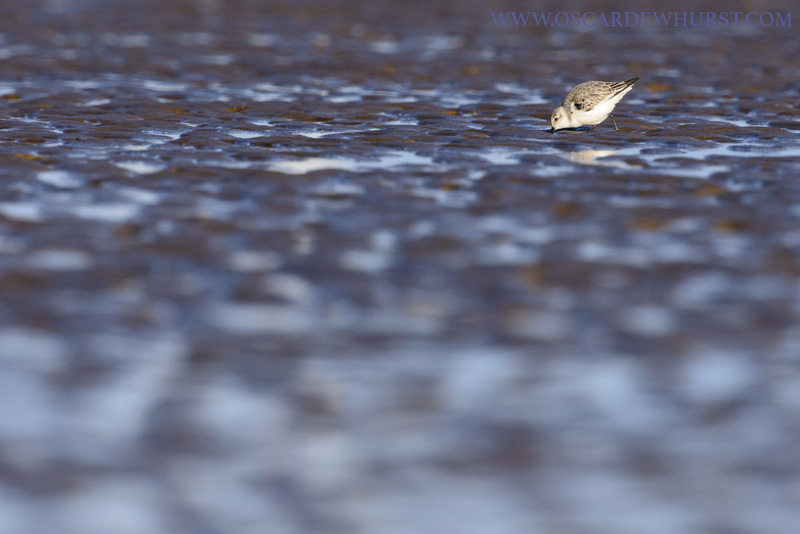 Unfortunately another photographer there seemed to have little idea of fieldcraft, and soon flushed them. He clearly didn't want to put any effort in to re-find them, so wandered off in search of something else. Now alone I thought I would have a better chance of getting near them, so set off to look. Fortunately it didn't take long, and over the next couple of hours I was able to get close enough for some images. 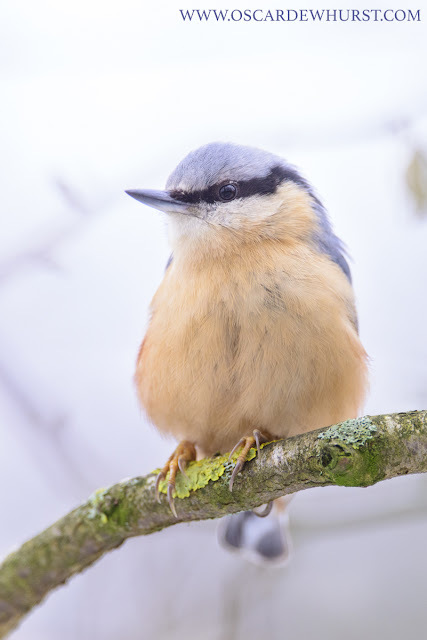 Annoyingly for photography, several of the birds had been ringed, but luckily the brightest bird, a male, hadn't. 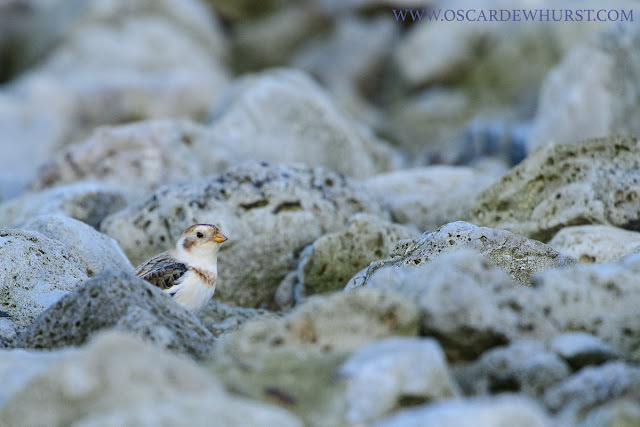 Naturally, this individual proved the hardest to photograph, but eventually I managed to get a couple as it perched in the open, as well as one showing it hidden amongst the rocks. Before long the sun had dipped below the horizon and it was time to head home. I was very pleased with the D850 though; it certainly felt like a significant improvement over my D800. 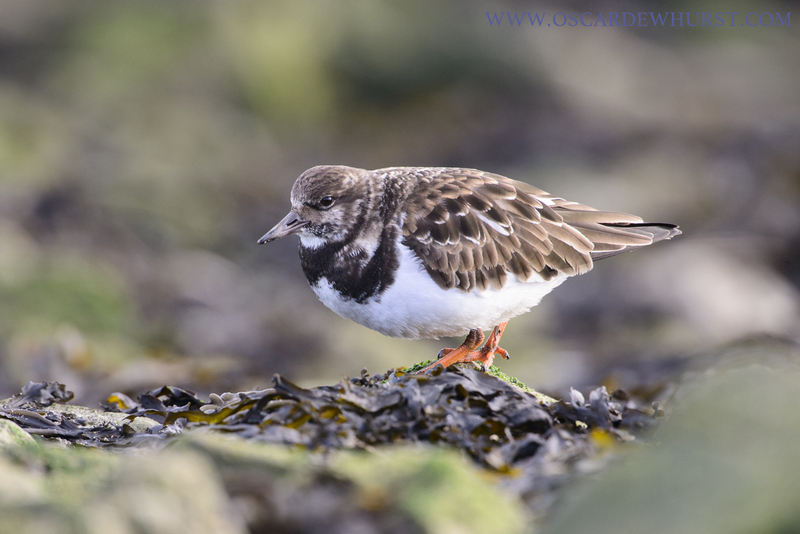 The weekend after the last post I was back on the coast again looking for waders to photograph. The first birds I came across were a group of Turnstones feeding in the rocks just by the water. 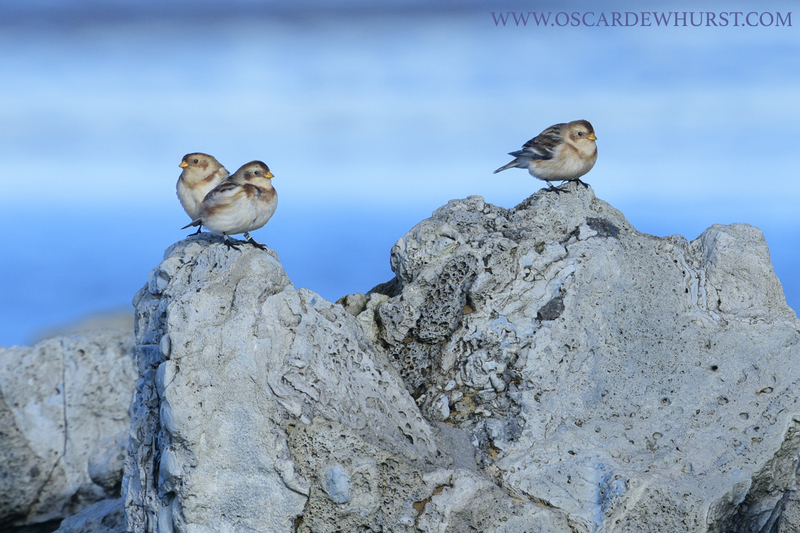 Rather than just walk straight towards them, I saw down in the rocks and hoped they'd come close enough to photograph. It took a while, but after an hour or so I had a couple within range for photos. While I was photographing these, the tide was approaching its peak, pushing waders from other areas towards me, such as this Oystercatcher which landed on the water's edge. A group of Knot also flew in, and I managed this image of them all heading towards me. As the tide started going out and sand was uncovered, a large flock of waders made up of Dunlin, Sandpiper, Redshank, Grey Plover and Knot landed not far from me so I headed in their direction. They didn't stay long, however. 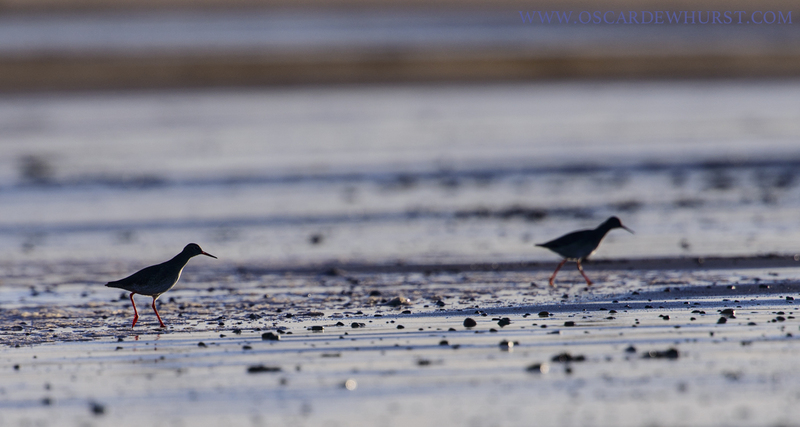 As the tide kept receding and exposing more mud, they moved further and further away from me. The sun was almost down anyway, so I headed along the beach back in the direction of my car. 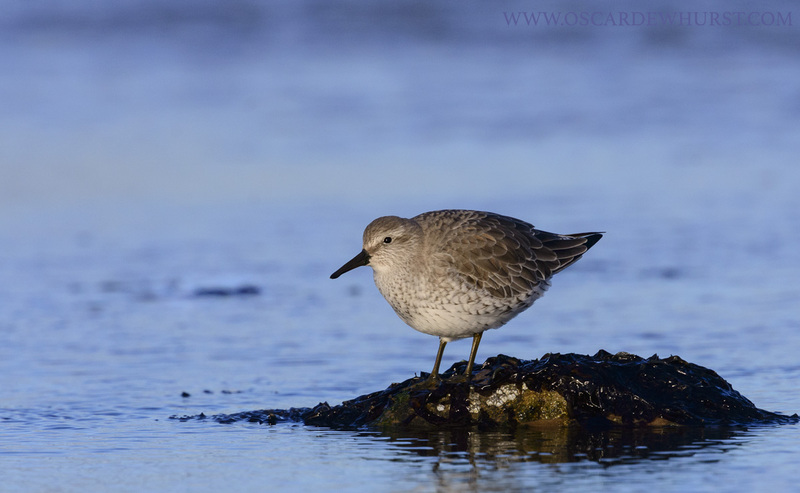 En route I came across a group of Knot, so spent a little time photographing them. 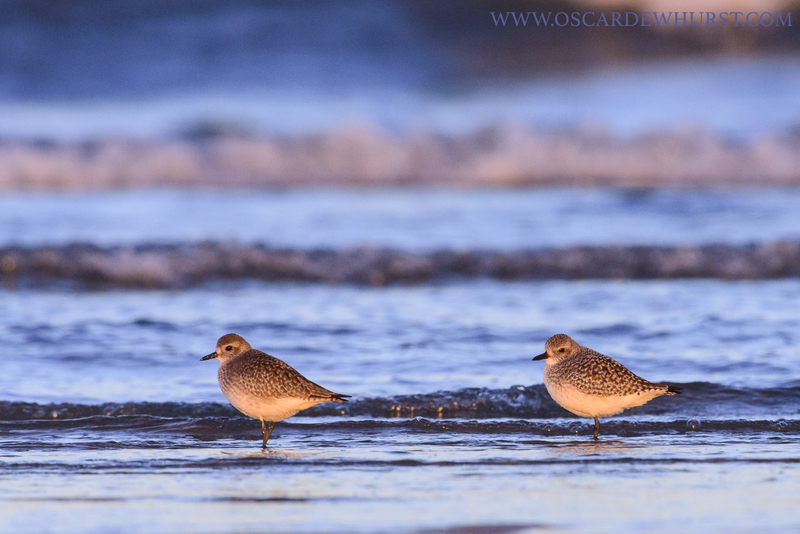 Then, just as the sun was about to dip below the horizon, a Grey Plover landed on the sand further down the beach. It looked lovely on the completely flat sand, so I tried to get into a position where I was near enough to photograph it as fast as I could. Fortunately it hung around for a bit, letting me get some photos. 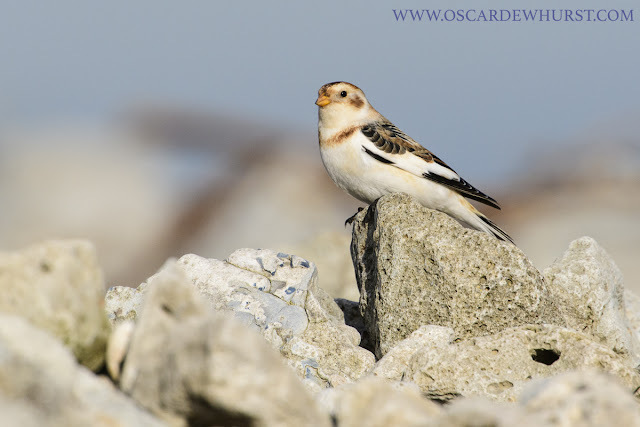 After that it was time to head home, but I was back out again the next weekend, with star of the show being some Snow Buntings! Watch this space for those images. Since my last post, a fair bit has gone on. My new camera arrived, was faulty, got sent back, and a replacement (non-faulty, I'm pleased to add!) 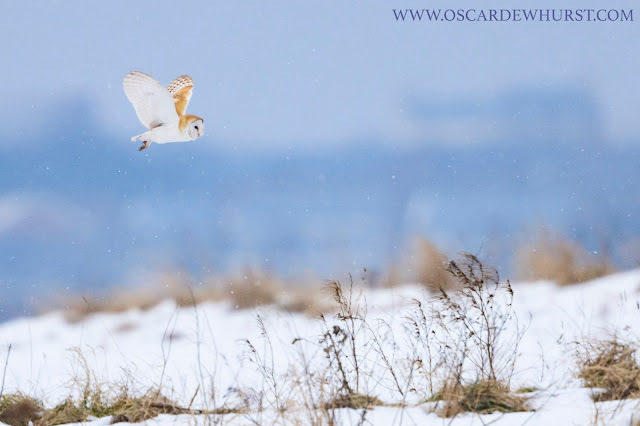 came, and, like much of the country, we have been covered in a huge amount of snow over the past few days! However, I'm a bit behind on posts, so we're going back to the end of January with this one, soon after I got back up to Durham after being home for Christmas. There had been a bit of snow and very low temperatures overnight, so to begin with I was trying a new location, where I was hoping for just some simple images of ducks on ice and common woodland birds in snow. 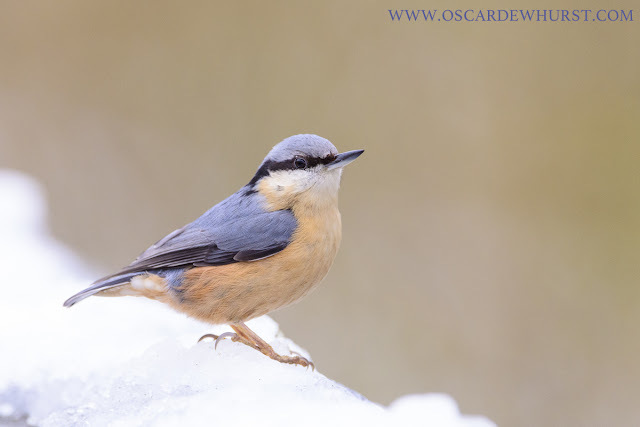 Unfortunately I drew a blank with the former, as although the lake was largely frozen, a small patch in the middle wasn't, which is where most of the birds were therefore concentrated, too distant for photography. I had more luck in the woods though. Birds actually seemed to be following me around, presumably because people feed them there. It certainly made a nice change from having them do the opposite! The first thing I managed to get some photos of was a Nuthatch that was feeding on the trunks of the mature trees. At one stage it even came down onto the fence along the edge of the boardwalk, almost too close to focus! 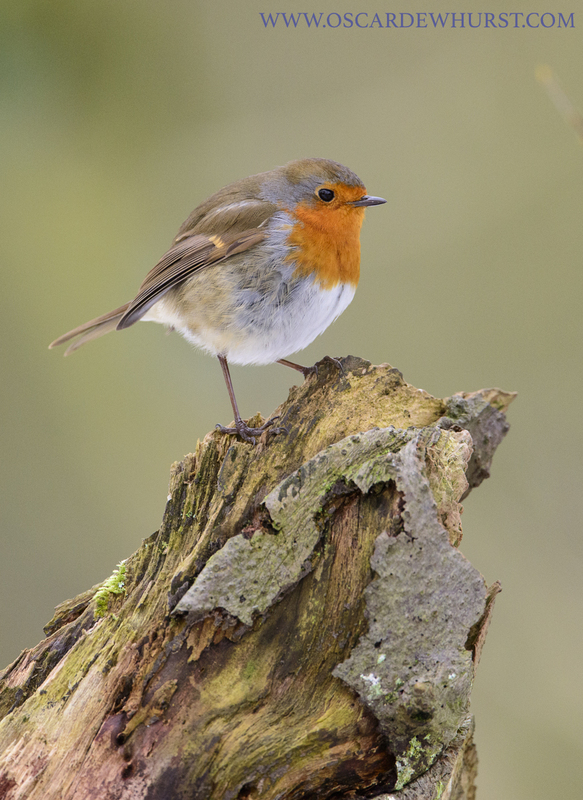 The other bird I had some success with was a Robin, which used this rotting log as a perch. After spending a couple of hours here I jumped in my car and headed out to my regular spot on the coast. 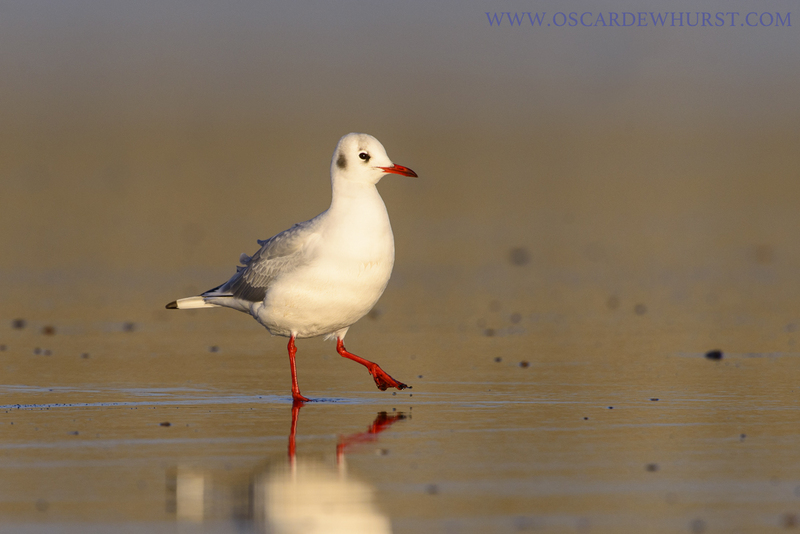 Unfortunately the tide was quite far out, so I focused my attention looking towards the setting sun, where this Black-headed Gull was just taking off. As the sun got lower, a few birds also started to appear on the beach. 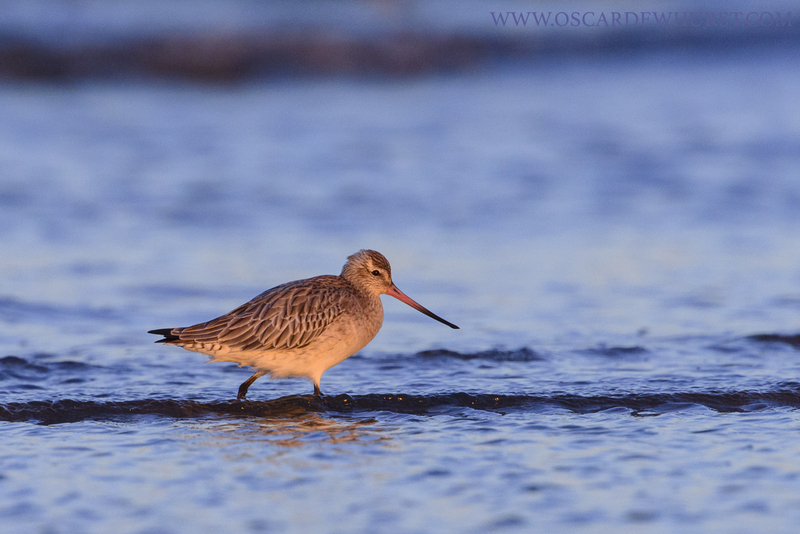 I spotted a small flock of Grey Plover and Bar-tailed Godwit, so tried to inch within range of some images by crawling through the sand! Pretty soon after this, the sun dipped below the horizon, prompting me to pack my gear away and head home. 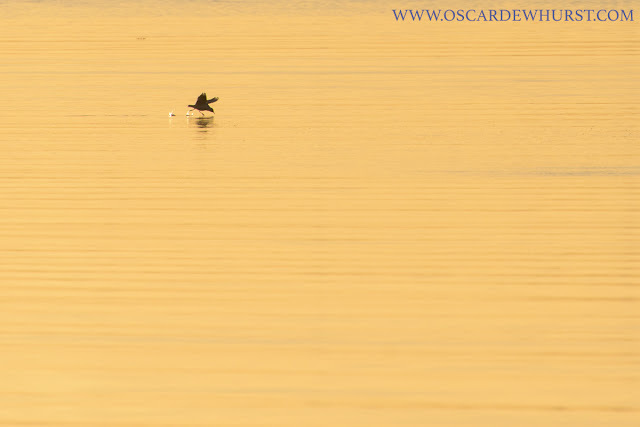 As it happens, this ended up being my D800's last outing as my main camera, as soon after, a D850 arrived. I was itching to get out and play around with it, so that will be the subject of the next post! 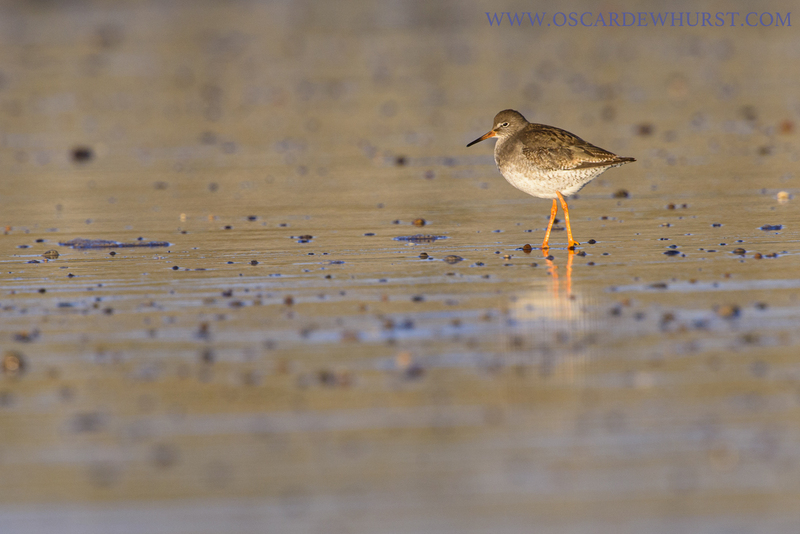 Before I went back home for Christmas, however, I had one more day out on the coast photographing the birds there. As it was almost low tide there weren't great numbers of waders built up, but the tide being so far out meant I could position myself with a yellowish grassy bank in the distance which made the water on the beach a lovely colour. Although to begin with there were no waders within sight, I did manage to find a fairly confiding Common and Black-headed Gull. 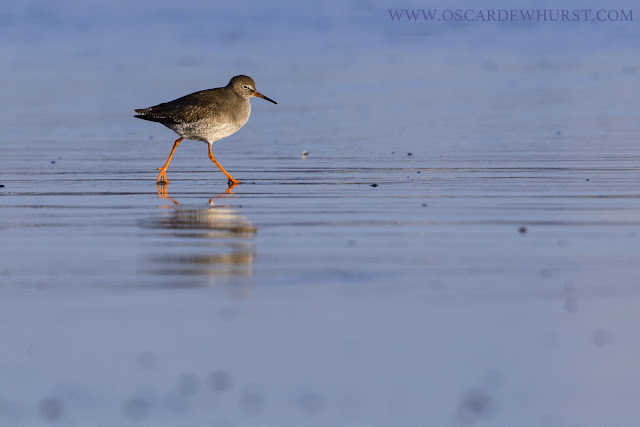 After spending a bit of time trying to get a low enough angle without actually having to completely lie down in the wet sand and get drenched, I heard the distinctive call of a couple of Redshank that had landed a little way down the beach. Seeing that they were feeding along the beach and heading in my direction, rather than charge towards them (which would have most likely flushed them), I waited for them to get near enough, and they seemed largely unconcerned by me being there. 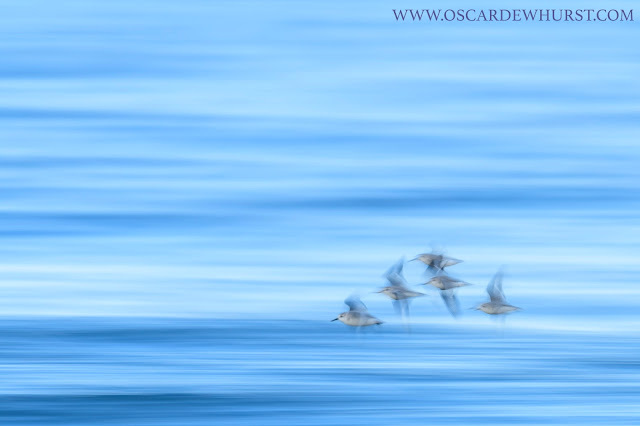 After a while the birds were flushed by a passing dog walker so I headed further along to try and get some photos of birds flying above the waves in the strong winds. 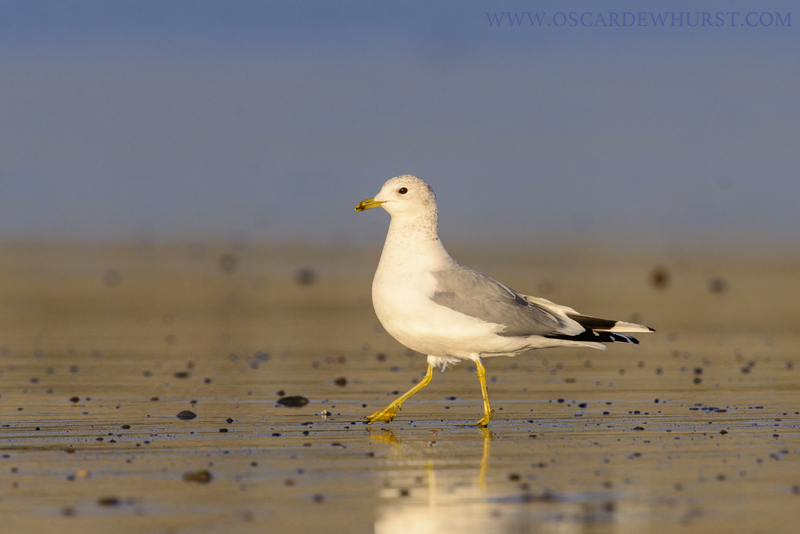 For the most part the gulls stayed relatively distant, but on a couple of occasions they came close enough. That's all for this time, but I'll try and get another post out within the next couple of weeks with some images from last week in the snow.